I can certainly say that the #StitchingSanta has been one of the highlights of my Christmas this year! A HUGE thankyou to Sheila from SEWCHET for arranging this, and an even bigger thankyou for saying you’re going to do it all again next year! I’m counting down the sleeps already! I was lucky to have met my Secret Santa recipient back in April when I organised the Spoolettes Meet Up, and have been following her blog for quite a while. It was Corinne from ApplebyMakes – a lovely lady who’s lucky to have a crafty husband and 2 crafty children. Her husband even writes blog posts too!! (mine doesn’t even read mine, though he does sometimes look at the pictures!). Corinne and her husband are both teachers. Whilst racking my brain as to what to make (and having a few nights when I struggled to get off to sleep thinking about it!!!) I remembered I had some fabric in my stash which would be perfect for some handmade gifts. So I made what I make for everyone…… a peg bag!! And I also did my first attempt at patchwork, which I really loved and can see will be playing a big part of my sewing on 2016. Then I made a quilted zipper pouch. I really loved making this! I thought Corinne might use this as a pencil case. And I was able to try out some different stitches on my machine. I also made a roll thingy wotzits which could be for anything from make-up brushes to pens and pencils. Corinne said she’s going to use it for her crochet hooks and DP needles. Then after rummaging in my stash I found some fabric perfect to make coasters for someone who lives at the Seaside! Without realising and looking at everything together I bought a makeup bag with a sewing theme, and a Tote bag from SewOverIt. Definitely a bag theme going on here. Hope that was alright Corinne!! I had a few things in my stash which I also sent. The first was a piece of fabric which was really soft and would make a lovely shirt to wear with jeans. I thought the colours would suit Corinne. This fabric is quite well travelled already, Amanda from Sew Deputy gave it to me in a fabric bundle with other bits and pieces last time I met her. I originally tried to find some stretchy fabric so Corinne could make another VNA top but it was either too expensive or I didn’t think it would suit her. Corinne bought an overlocker this year and has gotten into sewing with jersey fabric. I looked through my collection of Prima patterns and found a cowl neck top which could be made with jersey fabric, or fabric cut on the bias. Once I had it all wrapped it was such a relief to get it all sent off. I just managed to squeeze it into a shoe box! I also posted off a little pressies for Sheila as a thankyou for all she’d done. Coasters! I think the wording on one or two of these phrases is quite apt for this lady who I think has some super human traits considering what she can fit into her week! So onto my #stitchingsanta parcel!!!!! I felt extremely privileged to have Sheila send me my parcel!! I’d seen a post she’d written about her pressies so far and was hoping they might be for me!! But I’d thought that too about all the other updates I’d seen! Take about a child in a candy store!! 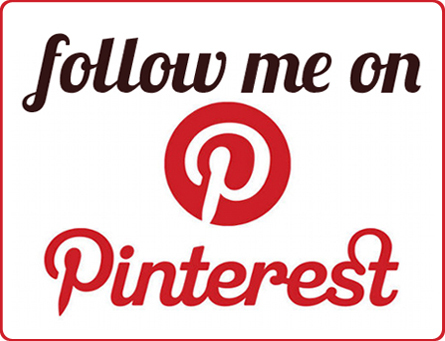 My blog reader what driving me crazy seeing all these wonderful makes! I was the first to wake up on Christmas morning. It was just before 7am. I sneaked down hoping to have some peace and quiet to open my parcel but no, my footsteps weren’t as quiet as I thought and H and the hubby joined my too. I took things a bit slower than H, he wasn’t taking photos of his pressies as he opened them! The first thing I opened was these gorgeous handmade buttons!! (that’s when i knew my pressies were from Sheila!). Look at all those tiny stitches! You might wonder what I’m showing you here!! Wouldn’t normally put on early morning face without coffee on my blog!! Can you see my earrings!!?? They were a bit hard to photograph wearing them so here’s a close up. I’ve worn them everyday since and got lots of lovely comments! A zipper pouch! This will be perfect so carry some change about when I’m working. And a matching tissue holder comlete with a packet of Kleenex. This will be great for work too! I don’t own a real pair of little scissors so I feel like a proper seamstress now! I’ve used it already and it’s great not looking for the needle on the sofa – Sheila’s made a cute little needle keeper! I’ve not photographed it very well, but can you see the scissors are in the shape of a stork? These patterns will come in useful. 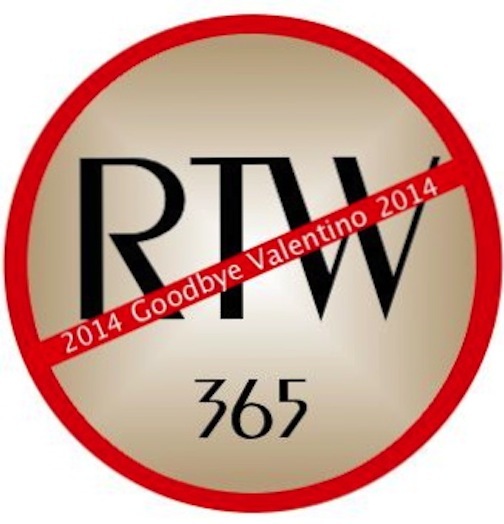 I’m thinking I might do the RTW fast again in 2016 so would need all of these. Tissues…. how cool are these! Obviously I won’t be blowing my nose with these but might dab my brow with them when I’m sweating over a particular challenging sew! Fingerless mittons! So soft! These have been worn already even though it’s not been cold enough! An IKEA bag! I loved these when I saw them on Sheila’s blog and this will be really useful. It’s got all my Christmas pressies in at the minute. A super cute Christmas decoration! Pic at the top of it hanging on my tree! A fat quarter……. I think I might use this when I get round to making myself a peg bag! Saving the best until last! This is just the best thing ever!!! A hand made sewing box with goodies in too!! I don’t know how Sheila had time to do all she has done. Not just for me but all the other handmade presents she’s made for her family. I truly am grateful for everything and love every single thing in my parcel! Hubby was in awe of it and didn’t believe me at first when I told him Shiela had made it! After quite a thorough inspection he was still shaking his head and wondering if I was kidding him. And I’ve been using it already! I’ve started a little project and learning how to do english paper piecing. Thanks again Sheila! I’ve loved taking part in the Secret Santa, loved reading all the other posts and found some new blogs to follow too along the way! Wow!! So much work has gone into all of these gifts, you lucky sausages!! Isn’t the sewing community amazing?! There’s a couple in Singapore and Bangkok, but not yet met in the flesh! Lovey gifts all round. Your fabric choices are gorgeous and fab patchwork! Definitely see where you’re going this year. If you’re holidaying down Devon/Cornwall boarder way at all Cowslip workshops (https://www.cowslipworkshops.co.uk/workshops) have some amazing classes. Obviously I’m only telling you that to encourage you to come down and teach me to play golf 😉 That box is amazing too. I remember seeing it when Lucy made it. I may have to make one. If you do Bekki, let me know and I’ll give you a discount code. Your hubby’s face made me laugh – he really does look ‘in awe’. Yay, you like it all then? I was so pleased to have an excuse to make that sewing box and more than a little relieved when I finished it in time! Love the fact that your hubby didn’t believe I made it. You made loads of lovely goodies for your swap partner and I love all those gorgeous fabrics you seem to find. Both sets of coasters are awesome and the quilting is so cool. Enjoy the rest of your time off – Happy New Year!! What a fabulous selection of items, and reading your post really made me notice how nice it is to read the sender’s reasons for choosing their items AND the receiver’s thoughts and comments about the different contents. It’s so lovely you got a super mixture of things you can use in future makes and things you will keep for years to come. Gorgeous. Am also a bit behind, so not to worry. Mug mats – she needs more! The needle keeper is really ingenious! I too used to stick needles on the sofa and then I’d struggle to find them! And it stops other family members pinching my scissors to cut their toe nails….yuck!! I’m very envious of that amazing sewing box that Sheila made – it is brilliant! I got the same pattern from my stitching Santa partner! I’m determined to have a go at the trousers for the summer! 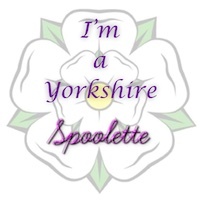 Previous PostSave The Date – Yorkshire Spoolettes Meet-Up!